The National Farmers’ Federation (NFF) has laid down a bold vision for the industry: to exceed $100 billion in farm gate output by 2030. Based on our current trajectory, we know industry is forecast to reach $84bn by 2030. This suggests that we still have significant work to do over the next 12 years if we are to achieve our vision. To help us get there, the NFF, in consultation with members, industry stakeholders and government, has developed the 2030 Roadmap. The Roadmap identifies the significant opportunities and challenges that we may face on our journey to 2030, and maps the steps required to reach our vision. NFF understands that the broader benefits of getting this right are also important for the Australian community and landscape, so not only are we inviting industry to join us on this journey, we’re asking government, at all levels, and the broader Australian community to join us too. 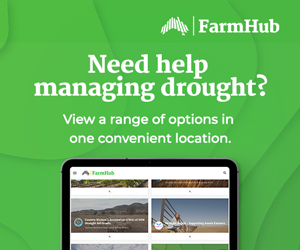 The Roadmap was developed through an extensive consultation process, called Talking 2030, which took us to every state and territory in Australia throughout 2018, with the assistance of our key partner, Telstra, our members, the Australian Rural Leadership Foundation and Nuffield Australia. Talking 2030 allowed us to hear directly from approximately 380 representatives from across the agricultural value chain, including farmers, researchers, agribusiness, educators, the community and government. As a starting point for our Talking 2030 Australia wide conversation, KPMG developed a discussion paper that captured key insights and ideas from leading industry experts. We then consulted heavily with our members, industry stakeholders and government as we began the process of consolidating the Talking 2030 feedback into the Roadmap. Of course, the Roadmap is only the first step in our journey to 2030. 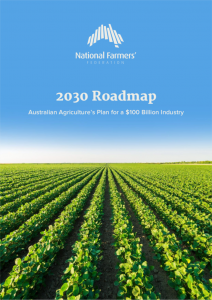 The NFF will lead a collaborative approach to deliver the Roadmap, which will include our members, partners, and industry stakeholders, including the government and community. To assist us in doing this, the Roadmap will provide an annual report card to not only track our progress and hold us accountable, but to also ensure the Roadmap remains relevant, flexible and adaptable throughout its life.